Normally I would spilt a post of this length into at least two instalments. But I wanted to give you all the information when you may need it, which for some of you may be the period between Christmas and New Year. 1. Training which emphasises distance (called “garbage miles” by this group) are a waste of time and effort which benefit little, leading to breakdown of technique and possibly injury and over-training. Part of this argument is that they are more difficult than equivalent open water continuous distances without replicating open water and sufficient training can be done without them. 2. 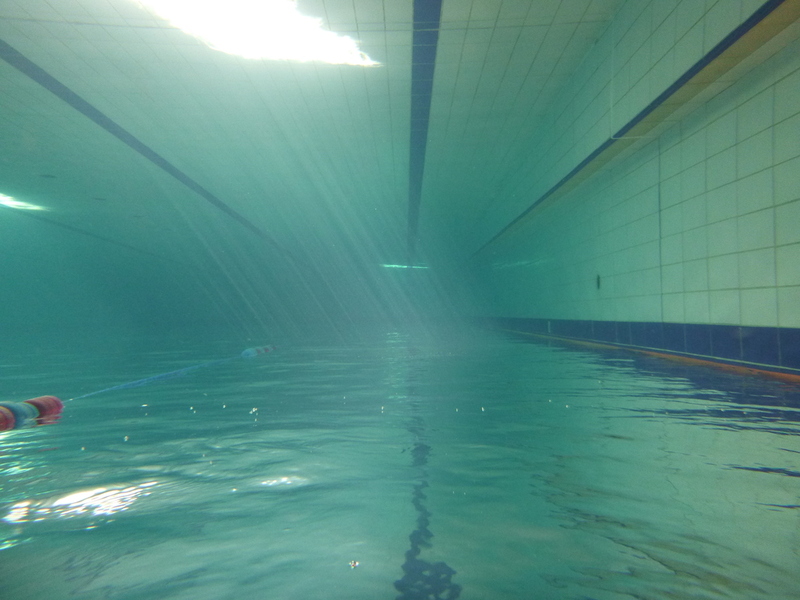 Long training pools swims are most valuable for training aspects you can’t train on shorter pool sessions (less three hours), during the winter period where you can’t swim equivalent open water times. These sessions investigate such aspects as testing feeding options, gaining direct familiarity with swimming into ketosis (the transition from carbohydrate-derived energy to fat-derived energy) and actually yes, swimming into stroke breakdown. Also, and maybe most important, they help train mental toughness. I am firmly in the second group. It is demonstrably true that there are many successful Channel and marathon swimmers who succeed on training fairly low weekly distances, and without ever having done a long pool training swim. I believe the advantages of occasional very long pool training swims are so numerous and beneficial, that every winter since 2010 I have swum multiple very long sessions. I try to get my first (and shortest) completed by the end of November. From 10 to 12k depending on the training I’ve been doing. I try to complete another two, maybe three in December and do anywhere from one to three every month from January until early May. I do not include 10k swims after the initial November swim in my totals, only those over 11K. (It’s an arbitrary personal rule). This topic is not about that discussion but rather what and how to approach and swim your first long pool training session. Every time I swim one of these I learn or remember something and each usually feels so unique on the day that I usually have ideas about turning each into a post. More useful is to try to put those experiences together as a guide. The winter or Christmas holidays are a popular time for these swims. College swim team swimmers are often put through the rigours of some traditional nightmare set such as increasing IM sets or descending sprints sets to failure, (though their swim goal is different to open water swimmers). 50 x 200 is a variation of the set that has been become increasingly written about, the infamous 100 x 100, of which the 100 x 100 x 100 variation is something I call the cube. However, despite its increasing fame I don’t believe the 100 x 100 set is necessarily the best to attempt a first long pool distance set for distance open water or aspirant distance swimmers. The relentless timing and pace is good but the goal is to learn more about swimming long sets for yourself. I’ll start with planning and give some during and post-swim advice. Then I’ll include the basic plan for your use, including a distance-adjustable annotated session plan which will clarify or outline a few expectations at certain points. If I was doing a long session with someone else such as Gábor Molnar, Rob Bohane or Ciarán Byrne, we’d do mostly shorter sets and intervals with more drafting and a higher overall speed. Such sets are also valuable and the social aspect is not inconsiderable. This is also a “many ways to skin a cat” situation. There are infinite ways to structure a 10 to 15 kilometre session. This is just the base of the session I start my winter long swims with, that I’ve found work best, as it is mostly using longer individual sets. The Marathon Swimmers Forum has a popular thread dedicated to “Animal Sessions” for further investigation. (I particularly recommend Susie’s Animal Cracker). This session plan however is predicated on one assumption: that you will be swimming by yourself. Doing so will give you a chance to monitor your own biofeedback, notice how you feel at various times, what challenges you might have had to overcome etc. It will also make the session slower and in some ways more difficult as you won’t have anyone to distract you, but you will consequently learn more. I’ve written a previous article on how to read and write swimming notation. Small differences creep into everyone’s personal notation but this one is pretty easy to read. This session of for swimmers who are swimming at least 15k metres per week. There is little point swimming this session if you are swimming less than this. This session is also for those who want to swim longer distances in open water and are unsure where to start. Some of this seems so obvious it borders on OCD. You would be surprised how easily you can forget any of this stuff. I.e. I’ve forgotten almost everything on this list at some point. Fill your water bottles. Bringing multiples will mean less time lost filling them during the swim. Pack an extra pair of goggles and swim cap. Long pool swims will teach you which goggles you can really wear for long periods. 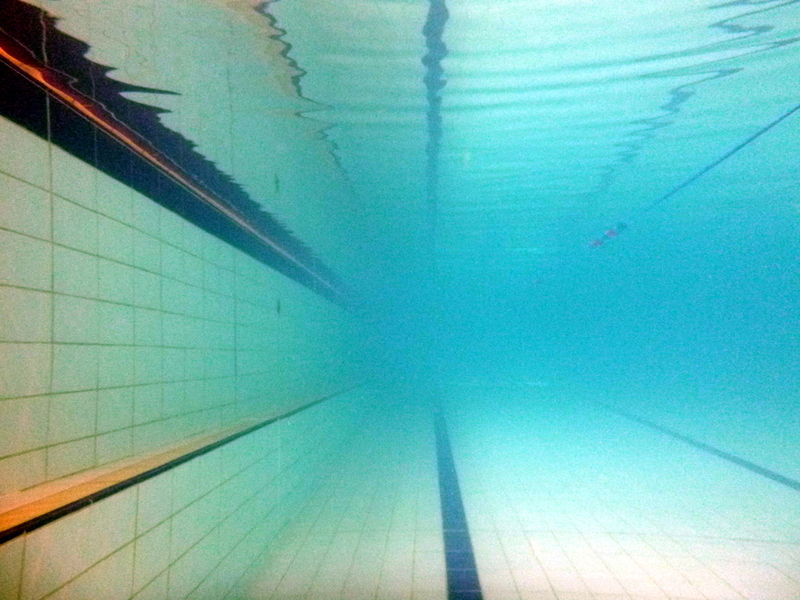 Long pool swims also test the items most likely to fail such as goggles or spilt caps. Don’t forget your towel, this is the day you will most likely do such. Bring some electrolyte tablets or powder. (Optional) Prepare a liquid carb feed. I will discuss this below. Pack your swim toys. For this session you need a pull-buoy, fins and at least one pair of paddles. If you have one, bring a centreline (swimming) snorkel. If you have either, bring finger paddles and Agilty paddles. Set your alarm to allow plenty of time for a good breakfast and getting ready without being rushed or stressed. Gentlemen, beard or clean-shaven is better than stubble. Pack all your gear that you can in your bag. You don’t need to put the water bottles in the fridge, put them with your packed gear, otherwise you may forget them. If you don’t use recovery products, prepare some post-swim food, such as chocolate milk, and/or a sandwich with protein and carbs. Meat and cheese etc. Don’t bother with any of the low fat stuff. You want the real thing for this. (I usually bring half a litre of milk and a big sandwich). It needs to be a mix of carbs with mostly protein. All carbs or all protein are not as good. Some carbs are needed to metabolize the protein for muscle repair. I’m very much not a male cosmetics guy but since you are most probably going to be in a high chlorine environment for longer than usual, some kind of moisturiser the previous night is a good idea to reduce your face drying out. But don’t put it around your eyes or the bridge of your nose or it will make your goggle seal more difficult the next morning. You didn’t sleep well? One of the learning goals is that you will discover that doesn’t matter half as much as you thought it did. Don’t overdo coffee. Try and stick to one mug. More will add to the likelihood of cramp. Have a good breakfast. Avoid foods that might repeat on you. Porridge is still the best, swim smoothies are also great. Bagels, fruit and homemade brown bread. Try to avoid junk high sugar processed cereal or high protein and fat breakfasts such as The Full Irish. Remember I mentioned giving yourself plenty of time? Part of that is to allow things time to well, settle. Yes, I mean go to the toilet. Gentlemen where relevant, don’t forget to shave. Choose your strategy. For EVERY long swim I’ve ever done, I set a minimum goal, an acceptable distance, and a stretch goal. All will be either distance or time oriented, except my minimum which is always 10k regardless of time. This is actually one of most important pieces of advice. Some people like to psyche themselves up as their strategy, (that never works for me). This may seem like I’m over-complicating the swim, but as I say, it’s integral to how I swim long sets. Don’t forget to keep drinking. My own required intake seems to be about a 750mls per 4000 metres. (Based on weighing myself before these sessions for a series of swims, monitoring my fluid intake, and weighing myself afterward). I also discovered that if I take the required amount, I feel a bit too bloated and uncomfortable, so I take less than I should and feel better, but it’s a balancing act. Regardless, too little liquid and you will cramp, especially your feet if you are flip/tumble-turning. Try to keep control of your rest stops and toilet breaks. If you are used to 10 to 30 second rest intervals, you think this will be easy but you will find that you easily use 20 to 30 minutes cumulatively on a three to four hour swim. If doing an approximately three hour swim, you don’t really need any carbs as your body has sufficient already. If you are really struggling however, take some carbs in the last 30 minutes but not beforehand and not too much. The ketotic transistion, where you transition to consuming fat, usually makes you feel grotty and happens at sightly different times for everyone. The sooner you get used to swimming through the ketotic transition, where your body swaps to consuming fat, the better. This transition is very unlikely inside two and half hours. Stretch. Your muscles will contract over the swim. The best remedy to this are backstroke and kick sets. These will also help you maintain form. While normally you may not do this at all (I don’t), as soon as you finish dressing, eat your food or take your recovery drink. Don’t worry about Golden Windows, just get it in as quickly as you can. Eat it in the car park of the pool or even the lobby if allowed. If using a recovery product make sure it’s a quality one, not cheap Holland and Barrett junk or such-like. e.g. whey Isolate is usually better than whey concentrate. Taking a good post swim recovery product or food will have a big effect on your swim recovery, especially how you feel in the intermediate period afterwards, and the next day, even though after your first swim you may not realise this. My certainty from experience is that if you don’t take it, you will feel worse. Thirty minutes or so after your swim, “rolling thunder” will begin. That is, you will begin farting. Regardless of whether you used a carb mix, in the latter parts of the swim as you became tired you will likely have gulped some air into your stomach. It wants out of there. If you didn’t use carbs it’ll pass in a hour or so. If you did use a liquid carb mix rolling thunder will be accompanied by a gradually increasing uncomfortable bloating in your stomach and increased “storm activity” which will last a bit longer. Not too much though as you shouldn’t have used a lot of carb or have been swimming long enough. You may not realise this, but your mental acuity, especially if you swam without carbs, will be very slightly impaired. Cognition requires carbohydrates, and if you followed my advice and swam without carbs, this is slightly negative side effect of ketosis. (Example from experience are taking wrong turns on familiar roads, putting the green glass for recycling in the clear bank, and vice versa, forgetting the shopping or buying stuff you don’t need). With a good quality post swim the blazing hunger which isn’t satiated by eating junk, will allow you to wait until normal meal time. You will likely eat a large meal at that point. You will smell more strongly of chlorine than usual. Regular showering will not reduce this (unless you uses special chlorine removal products or go for a swim in the sea). You may also still be slightly dehydrated so increase your liquid intake. You may feel various fatigue symptoms such as a flushed face, stiff forearms and/or shoulders. You will be tired. You will also probably feel very content that you’ve accomplished a swim that is outside the range of even very many experienced swimmers. You will be tired. That’s part of the point. How tired will be a result of your previous training level and experience. Go for an easy swim. In the sea, given it’s winter, swim 1000 to 1500 metres or swim a nice easy 2000 to 3000 pool session. Stretch out and relax. Think about the next time and how you will swim faster, further and better. Depending on your prior training and distance swum, recovery will take two to five days. For swims in the 10 to 15k range. It’s okay to have hated it, but if you are a distance swimmer, you will still want to do this again about ten minutes after you finished. This session is based on mostly longer sets. You can swap bits of this session around but there are three sets in this session that I really want you to keep and in their relative positions. Those sets are in red. They occur in different places obviously if you doing closer to 10K than if you are doing closer to 15k. These swims are in metres. If swimming in a yard-based pool you must swim the full metric distance. That is, you may not substitute 40 lengths of a 25 yard pool for 40 lengths of a 25 metre pool, you must make up the difference. Click the link to download each variation without annotation. 100 w/u This is just to check your googles are right and help you settle in. It’s not even a real warm up. 4k unbroken f/c That’s right, 4000 metres straight. This is one of the two most important parts of this set, that I don’t want you to change. This is about mental training for continuous distance. Warm up will take some time. Swim a consistent pace. Don’t start out deliberately slowly. 1600 finger pull. This is using a pull buoy (and ankle band) with finger paddles. If you don’t have finger paddles, just do a f/c pull. Do NOT use power paddles. 5×200 R.I. 0:10 You are at 7,100m already. You should feel good at this point. 1600 Agilty Pull. This is using a pull buoy (and band) with Finis agility paddles. If you don’t have agility paddles, use finger paddles again or just do an f/c pull, NOT power paddles. 1000 KK fins. If you don’t do much kicking this will be tough on your legs. 1000 f/c No pull buoy or paddles or any toy. You will discover how your muscles have contracted. Focus on technique. Congratulations, you are now a distance swimmer. Your heart is titanium. Your blood is purest adrenalin. Your will is cold-forged iron, your skin is carbon fibre and your muscles are coiled steel springs. You eat discomfort and you play exhaustion for a fool. You know that pain is merely weakness leaving your body. You do not stop when you are tired, you stop when you are done. You have the worst of all addictions because you, my friend, are an endurance athlete, a distance swimmer. Thanks and that’s exciting Ralph, and great to hear. I’ve met Otto Thanning and Roger Allsop previous and current holders of the “oldest” title and have their autographs, and Sue Oldham and Carol Sing, previous and current holders of the “oldest female” titles (before my Channel swimmers autograph hunting project). You should drop by the marathonswimmers.org forum also, Otto is a member there. b/c mean backstroke, f/c means front crawl, more commonly called freestyle in the US so sometimes written f/s, and kk means kick (and b/s means breaststroke, which I rarely do). Great article and just in time. I will be giving this a test at the end of this month for my first 10km swim set. Im new to lds and will hopefully complete a few this year 10km,14km and finishing off with Windermere. I was particularly interested in your advise about not consuming carbs during the swim to allow you to get used to the “The ketotic transition”. I had been wondering about this concept my self as I have lived and breathed a Cyclical Ketogenic Diet in the past with great success. I have a real appreciation of the switch over from glucose to ketones, however I used to deplete over 2 days so doing it in one swim will be interesting. I was wondering if you thought there would be any benefit in depleting carbs the day before the swim and only consuming protein and fat to accelerate the switch over ? PS your blogs have now become the foundation of my swimming education. Glad you find the site useful! There has been a lot of discussion about low carb swimming,especially on the marathon swimmers forum. I am not convinced yet that it’s applicable or even possible for regular cold water swimming. On the long pool sessions I am not looking to deliberately be carb depleted (which I don’t consider a good idea) but to retain familiarity with the transition. Since I am not nor don’t plan to be low carb, deliberately depleting prior to a swim would be of no benefit to me. One point of this session is to get used to that transition while swimming, so that its arrival during a swim isn’t what will cause the end of same swim by a swimmer unused to feeling rubbish while it happens.